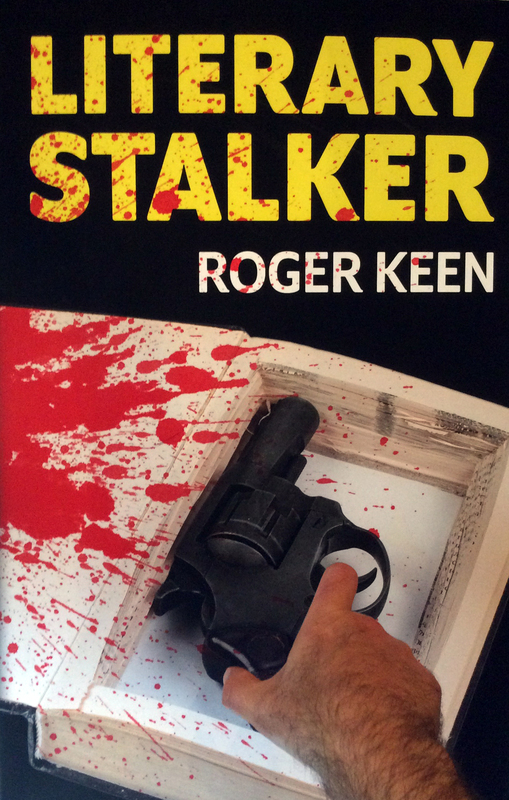 When I was thinking up ways of promoting my new book, Literary Stalker, I toyed with the word ‘metacrime’ – a compression of ‘metafictional crime’ – and I did a search to see how widely the term had been used before, and in relation to what. 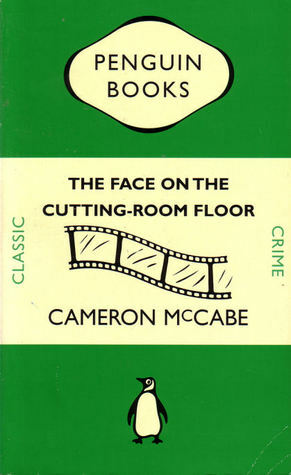 I discovered it was hardly in use at all, and the only work I came across that bore that particular label was the 1937 ‘Golden Age of Crime’ novel The Face on the Cutting-Room Floor by Cameron McCabe. The search led me to an excellent review of the book by Ted Gioia, which is posted on a site Ted has dedicated exclusively to the phenomenon of Postmodern Mystery, also dissecting works by Borges, Nabakov, Flann O’Brien, Paul Auster and other writers familiar to me – I had never heard of Cameron McCabe. Further trawling revealed that at least three of my writer friends – Nicholas Royle, Andrew Hook and Christopher Fowler – had written about this mysterious man and his novel, so he was not perhaps as arcane as I’d thought, and I needed to discover more. I expected to have to make do with a dog-eared and dubiously stained version of the tome, disingenuously described by the seller as in ‘very good condition’; but no, a new version has fairly recently been published by Picador Classics, coming with an introduction from Jonathan Coe and so many bits of front and back matter that it’s hard to know where Cameron McCabe’s own input ends and that of others begins – which is precisely what the novel is all about. Coe’s introduction sets out the parameters and of course the name ‘Cameron McCabe’ is just a device – both a nom de plume and the protagonist/extremely unreliable narrator of the tale. Keeping the synopsis side of things simple, the plot involves the ‘murder’ of actress Estella Lamare, to which several characters confess, but which later, by means of hidden camera footage, is shown to be a suicide…maybe. But soon another ‘real’ murder takes place, and things resolve into a Crime and Punishment-like duel between McCabe, as witness and later suspect, and Inspector Smith, the sleuth on the case. Presently another important character, A. B. C. Müller, enters the stage, and everything is set for the most meta of meta-mysteries you could ever hope to find. A strong early feature of this meta dimension is the retelling of the events surrounding the murder many times over, subtly changing and embellishing the content with each cycle. This has both the effect of a witness’s statement mutating under pressure and a writer’s ongoing experiments with narrative layering. The repetition is tedious at points, but we see where ‘McCabe’ is going, so interest is retained. Progressively the convoluting mystery resolves into the stories told about it, so it becomes not just a question of which character’s version we believe, but which ‘storyteller’s’ version we believe also. In other words, ‘true facts’ are blurred in a delirious metafictional merry-go-round. The rug is further pulled out when Müller steps in and engages in a deconstruction of everything that has gone before, quoting ‘reviews’ of McCabe’s work and musing on the crime genre in general. Eventually the metafictional spiralling becomes playfully absurdist in the manner of later practitioners of the art, such as Thomas Pynchon, John Fowles, Richard Brautigan and Kurt Vonnegut – and I found it hard to believe this novel was actually written and published before World War II! And that is the really remarkable thing about The Face on the Cutting-Room Floor – it’s so far ahead of its time. In an appended interview with the real author of the text – Ernest Borneman – he says that as a 1930s Berliner he and his friends were into Joyce and Proust when others were still raving about Galsworthy and Yeats. But there are few clues as to how Borneman made the leap to an almost 1960s-flavoured postmodernism so deftly. One tends to think of Borges as the main pioneer of metafiction, with his early stories written over roughly the same period as The Face on the Cutting-Room Floor. Out of the tradition of Borges, and later Nabokov and Pale Fire, the ’60s metafiction movement took shape, alongside post-structuralism, deconstruction and so forth. But developments are never that straightforward, and it must be remembered that Flann O’Brien’s pioneering At Swim Two-Birds was also written in the 1930s. Yet when I look at Patricia Waugh’s Metafiction (published in 1984 and my principle introduction to the subject back then), O’Brien along with Borges, Nabokov, Barthes, Pynchon, Fowles, Brautigan, Vonnegut, Lessing, Robbe-Grillet and many others have their contributions recognised; but there’s not a word about ‘Cameron McCabe’, because he was well and truly forgotten – or ‘unrediscovered’ – back then. 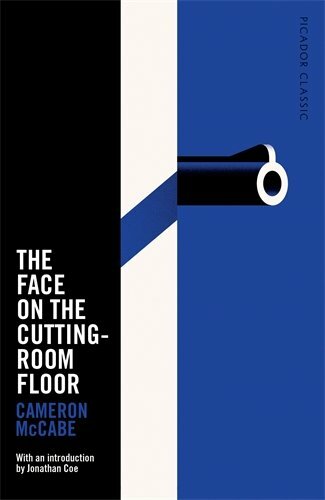 As the appendages to the new edition of The Face on the Cutting-Room Floor make clear, it was detective-story aficionados Julian Symons and Frederic Raphael who started its rehabilitation, yet its importance within the postmodernist cannon is equally manifest. Which brings me back to ‘metacrime’, which should become more recognised as a genre, in my opinion – the sumptuous fusion of crime, thriller and indeed horror elements with postmodern trickiness. 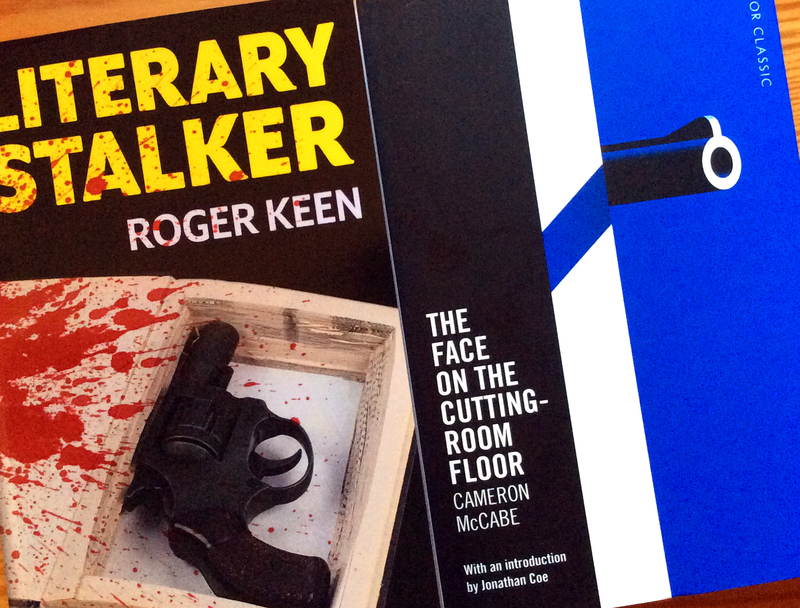 But of course I’m biased, as I’ve just written a metacrime novel myself, and though I discovered The Face on the Cutting-Room Floor after I’d completed Literary Stalker, the parallels and simpatico feelings are still strong. There’s the idea that once a crime plot is being written about within the text, the complications increase by geometrically higher powers and ‘plot thickening’ takes on whole new connotations. Then there’s the detective as larger-than-life sometimes deliberately parodic creation, a vortex of irony within the text – McCabe had Inspector Smith and I’ve got Inspector Leopard (a name deliberately borrowed from a Monty Python sketch). And alongside this lies the tendency to comment upon and analyse the crime genre as a whole. Finally there’s that layered artful ambivalence of the real and the fictional – or the fictional real and the fictional fictional – which must be taken far enough to count for something but not so far that it brings the whole suspension-of-disbelief house of cards down. Metacrime is a tricky high-wire act, but it’s definitely the genre of tomorrow!